In this chapter, we introduce five practices to help build scalable, resilient Web applications. In 2004, IBM launched its expertise location system, bringing together two legacy systems and transforming the employee’s ability to find and connect with their extensive network. 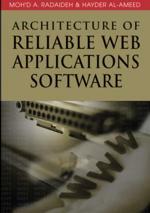 This chapter reviews five of the many issues that challenge enterprise Web applications: resource contention, managing transactions, application resiliency, geographic diversity, and exception perception management. Using the IBM expertise location system as context, we will present five key methods that mitigate these risks, achieving high availability and high performance goals.